Playing just now, I could really tell how comfortable online gameplay is – just like a regular local game. Now I’d like to ask about controls using Wii Remote Plus. Right. The way Bowling feels won’t change much, but you can enjoy a version with improvements over the previous game. I’ll ask about the Tennis controls later, but how have the Golf, Baseball and Boxing11 controls changed?11. Golf, Baseball and Boxing: Golf, Baseball and Boxing are scheduled for release after Tennis and Bowling are released on November 7th, 2013. 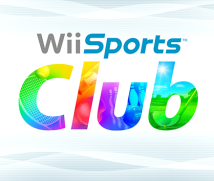 As for Golf, you use the Wii U GamePad and television screen. First, you place the Wii U GamePad on the floor. We first announced Wii U at E3 in 201112. We can finally enjoy Golf the way we introduced it through the concept video at that time.12. First announced Wii U at E3 in 2011: E3 (Electronic Entertainment Expo) is a video game trade show held once a year in Los Angeles. The Wii U console was first announced there in 2011. The controls for Golf are introduced in the “Concept Video” section of the E3 2011 special edition of “Iwata Asks” covering the Wii U. Yes, it’s just like that. The ball is displayed on the Wii U GamePad screen by your feet, and the fairway is on the TV screen ahead of you. You look down, look up, look down, look up, look down once more, and then swing. You can play just like you would play as if it was real golf. The Wii U GamePad didn’t exist then. Right. So you just looked at the meter on the TV screen as you hit. But this time, if you face the Wii Remote Plus toward the Wii U GamePad by your feet, the head of the club appears on the screen. And if you twist the Wii Remote Plus controller, the club head turns, too. Then, if you hit in that position, you can hit a fade and so forth. And if you look at the Wii U GamePad in front of your feet, it’s clear at a glance what kind of situation the ball is in – in the rough, the bunker, and so forth. Yeah! (laughs) You can enjoy golf that’s so realistic you can’t help but let out a cry. At E3 in 2011, when we showed that video we said, “We’re going to make something like this with Wii U,” and now we’re making good on that promise. That’s right. People will be able to hit the green with Golf soon. As for Baseball, the basic control is swinging the Wii Remote Plus like a bat. The pitcher uses the Wii U GamePad. In the original Wii Sports, you swung the Wii Remote to throw the ball, but it’s different this time. Yes. This was in the concept video at E3 2011, too. You look into the Wii U GamePad and choose a course and type of pitch and throw. You can enjoy trying to outfox the batter. For Boxing, we’re considering a lot with regard to network compatibility and so on. I think you’ll have to wait a little longer for that. All right, now please tell me about Wii Remote Plus compatibility for Tennis. We had a lot of challenges with Tennis. We wanted to do what we hadn’t been able to do with the original game. The original Wii Sports was made incredibly well so that it appeared to be able to tell which way the Wii Remote was facing and how the player swung it, but there were limits in being able to tell the movements on the Wii Remote controller just by the accelerometer. Without a gyro sensor like the Wii Remote Plus, it simply isn’t able to gather enough information. So to make up for the lack of information from the Wii Remote, (Keizo) Ota-san13 and his team filled the holes where the game made assumptions of the movements.13. 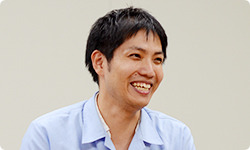 Keizo Ota: Technology Development Department, Entertainment Analysis & Development Division. He was director of Tennis for Wii Sports. For more, see the session of “Iwata Asks” about Wii Sports. That’s right. But this time, you position yourself for a forehand shot with your good hand, turn for a backhand, return to face centre and so forth – which is all detected by the gyro sensor of the Wii Remote Plus. Right! (laughs) With the previous game, when the ball came to your backhand, the racket automatically switched accordingly, so you just had to swing at the right timing. But this time, you have to decide for yourself whether you will return the ball with a backhand or move around for a forehand. It feels even more immersive. Yes. In a way, since you can do more, some may feel like it’s more difficult, but once they get used to it, I think people will declare through Custom Callouts before a match that they’re only going to use forehand shots or only backhand shots and so on, so I think gameplay has broadened. Can you do more than just forehand and backhand shots? The moment you hit the ball, if you swing as if covering over something, you can apply topspin. Which will give it a good bounce. Yes. And if you swing as if grazing the bottom of the ball, it will result in a slice, so when the ball falls, you can give it some lift. If the front opponent is at the net and you want to hit into an empty space further back, you can pop the racket upward for a lob shot. You can distinguish between these three shots with quite a bit of precision. It’s quite thorough. Can you make those distinctions easily? Yes. But it’s easier to understand if you actually see the movements. Watch the demonstration of different shots .